Microsoft has announced on ignite conference: NGSC. The Next Generation Sync Client. for those, who are working with Windows 10, you still have the new sync client on the machine. But it only work with OneDrive (Personal). 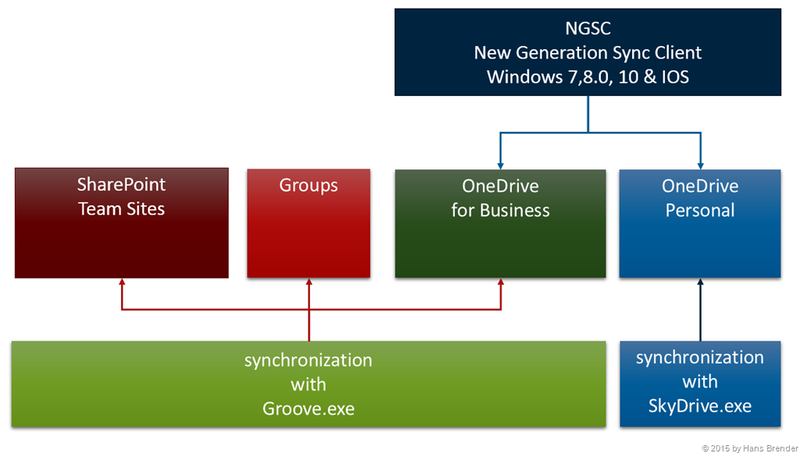 Yesterday Microsoft announced the preview of NGSC for Windows an Mac. You may go to this Website and sign in for the waitlist of the new OneDrive for Business Sync Client Preview. Windows 8.1 will be supported in Q1 2016.
in the following weeks I will post to all these differences. Here now the changes, that will come with the new Sync client. selective choice of folders to sync. even without the new NGSC there are innovations. Thus, the internal collaboration for both developer groups OneDrive (staff) and OneDrive for Business has had a positive effect.